One of the most accurately constructed Blimp models available. Textures containing your company logo can easily be added to the balloon surface. Originally created in Maya. All formats contain identical geometry and materials as seen above. 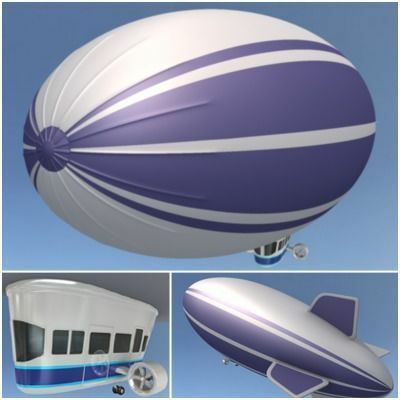 Stripes on blimp have been applied directly to the geometry so no texture adjustments are necessary. All objects are polygonal with clean and accurate construction. Close attention to detail makes these models ideal for close ups and print work. Every model has been checked with the appropriate software.